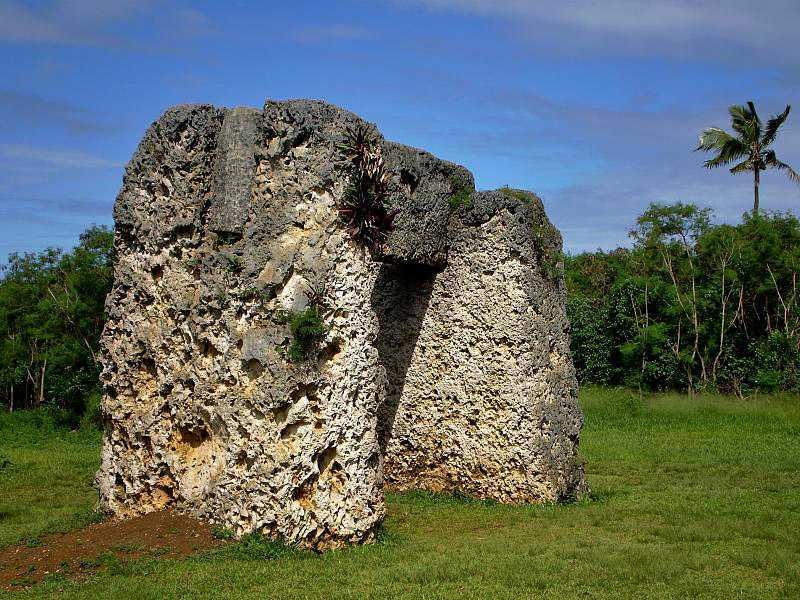 One of the most unusual megalithic monuments in Pacific is Ha’amonga ‘a Maui in Tonga. It has no analogues regarding its construction, shape and the enormous size of stones. Most likely this giant structure was created some 800 years ago as a monument of the inseparable royal dynasty of Tonga. There are not many countries in the world with such centuries old monument for their unity. 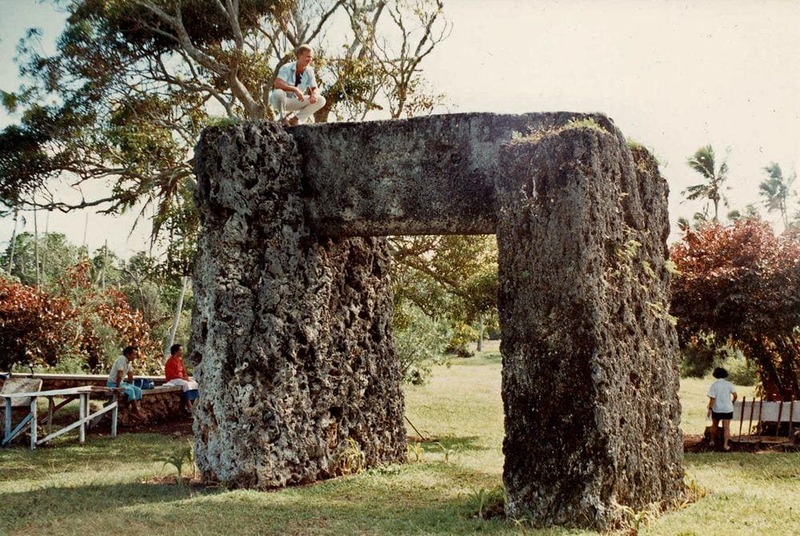 Ha’amonga ‘a Maui is a massive construction which consists of three giant stones – two upright stones and a lintel uniting them. The stone arch is facing towards the north and south. These stones are made of coral limestone, most probably mined just a few hundred metres away, at the sea coast. This stone initially is soft and fragile, it can be easily shaped in the desired form. Later, after some decades, it becomes hard. The coral stone is very porous and thus it is not possible to polish it – but nevertheless the surfaces of the stones are very flat and edges – straight. The stones are carefully squared and shaped. Nevertheless they are not perfect and the upright stones have different size and form. In later centuries the stone masons of Tonga reached higher level of craftmanship. It is known that in the 17th century, when this art in Tonga reached the highest level, there were professional masons. Their skills were used to create the megalithic burials of the kings – langi. Western upright stone rises 5.2 m high above the ground. It is 4.3 m wide at the base and 3.7 m wide at the top and 1.4 m thick. Eastern upright stone is 4.7 m high, 4.1 m wide at the base and 3.4 m wide at the top, its average thickness also is 1.4 m.
The lintel is 5.8 m long, 1.4 m wide and 0.6 m thick. The upright stones are divided by 3.8 m distance. It is estimated that the visible parts of upright stones weigh some 30 – 40 tons. The use of mortises in megalithic monuments is rare – and Ha’amonga ‘a Maui might be the most extreme example of such technique. 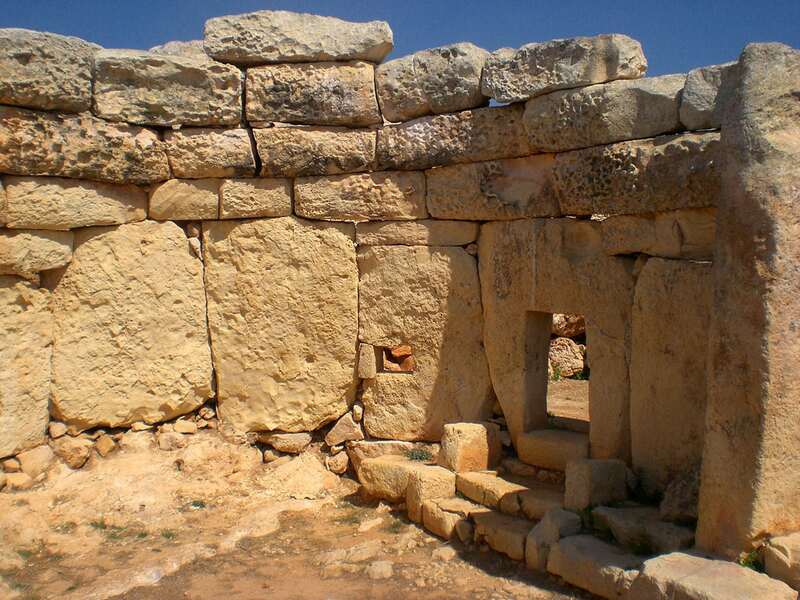 The mortises are several inches wider than the lintel, most likely to avoid the fracture of the upright stones in a case of imperfections during the build process or later incline. The depth of lintels makes the upper rim of lintel even with the upright stones. Such a heavy construction would inevitably incline if it would not have a firm fundament. The structure seems to be slanting, but nevertheless is has been standing for long centuries, in spite of its impressive weight. Both upright stones go at least 0.6 m deep in the ground and, most likely, reach the limestone bedrock. In the 19th century the roots of an enormous banyan tree entangled the western upright stone but happily did not move it. King George Tupoi I ordered to remove the tree. Ha’amonga ‘a Maui is unique and ancient. No wonder that this monument is surrounded by legends – ancient and modern ones. The fairy tales of Tongans tell that this monument was made by Maui – because no mortals would be able to handle such giant slabs of stone. Maui obtained the stones in the ‘Uvea (some 900 km far away) and carried them to Tonga in a giant canoe. This legend has given a contemporary name of the monument. Ha’amonga means – a stick with loads on both ends (a yoke), which is carried over the shoulder. Thus it means "A carrying stick of Maui". monument in 1963, soon after (in 1967) the king of Tonga Tāufa’āhau Tupou IV came up with a theory that the complex in Ha’amonga also is linked to astronomy. It reportedly helps to tell the position of sunrise at solstices and equinoxes. There is no firm evidence for this theory, although the respectable opinion of the king has left much influence on the opinion of Tongans. There is a "V" mark on the top of lintel. The legs of this "V" point at solstice directions. This drawing was copied on the land – but this copy disappeared before 1990. The "V" mark on the lintel is too small (just 10 cm long) to provide usable indications for exact direction. Also the mark on the ground was "adjusted" – rotated a bit to show the true direction of solstice. As it is characteristic for many megalithic structures, Ha’amonga ‘a Maui is surrounded by some mysticism. Nevertheless the history behind the creation of this megalith and its construction technique is known and documented. The political stability and even – the survival of Tonga as independent country – was secured by the long lasting rule of Tu’i Tonga dynasty. The rule of these mighty kings started sometimes around 900 AD and lasted until 1865, when died the last king of this dynasty – Fatafehi Lafilitonga. Tu’i Tonga managed to united the scattered Tonga islands under single rule and for a while they managed to create a kind of Pacific empire. The height of expansion of these kings was reached under the 10th king Momo and his son – the 11th king – Tu’itatui. The name of Tu’itatui means – "king who strikes the knee". This nickname has been created by the habit of king to strike with a heavy pole the knees of the people who would approach him too close. This was not just a caprice – it seems that king experienced assassination attempts. It was Tu’itatui who built Ha’amonga ‘a Maui – the largest megalithic monument in this part of Pacific. The monarchy of Tonga did not possess its own system of writing and thus we do not have written chronicles of this kingdom. But this problem was solved in a different way – there was a noble family whose task was to memorise the important events and to hand over these memories to next generations. 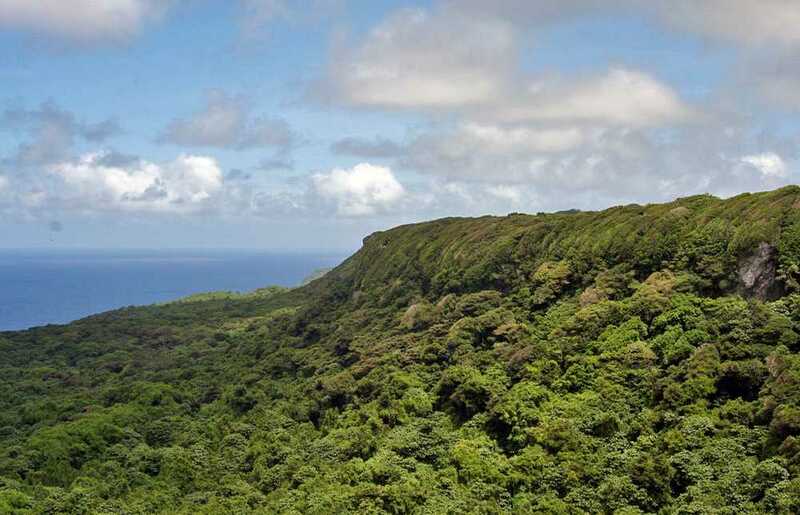 Thus in the early 20th century a member of this noble family – Tamale of Haameniuli – told a story about the construction of Ha’amonga ‘a Maui many centuries ago. May be we can not prove that this story is absolutely correct but there are no serious reasons to put it in doubt. King Tu’itatui had two sons – the elder son Lafa and the younger one – Talaihaapepe. It seems obvious that the king was concerned about the fate of his kingdom and his own family after his death – may be brothers did not go along well or may be king was just very faresighted and attentive. Tu’itatui used his influence and started voluminous works. Large number of people were called to build a monument of unseen concept and proportions. Tamale of Haameniuli even remembered the build technology of the monument – it involved numerous people, transporting the stones on wooden slits and placing the stones in place with the help of earthen inclines and wooden constructions. When one passed through the megalithic archway, after some 50 m he would reach ‘esi Maka Fa’akinanga ("stone to lean against"). King sat at this enormous standing stone, with a back to this stone and thus safe from assassins who could attack from the back. The giant archway symbolised the unity of the royal family. 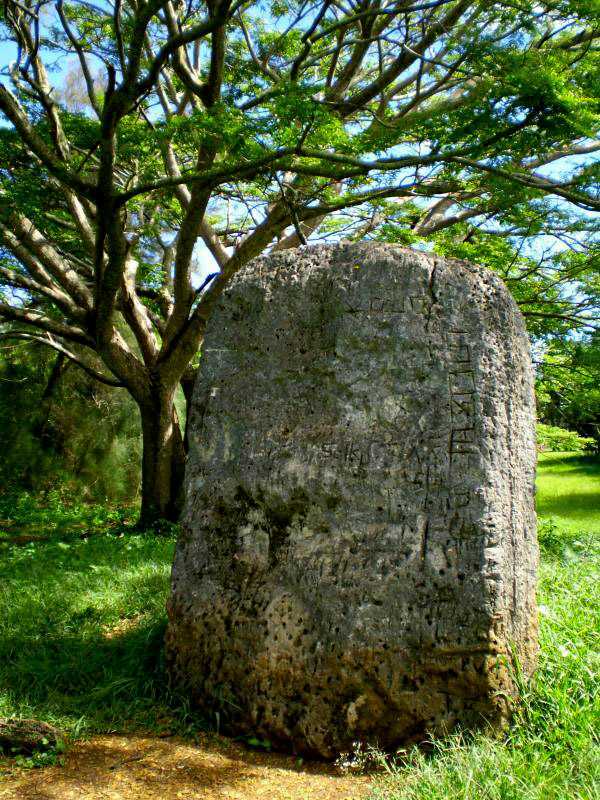 The eastern upright stone symbolized the elder son Lafa and the western upright stone – the younger son Talaihaapepe. The lintel symbolized the inseparable link of brotherhood between both brothers. It is not known whether the monument helped to keep the bound between the sons – but most likely it was a very efficient tool of sympathetic magic (as most monuments in the world are – also today). The construction process of the archway involved many people, much effort. The result was very impressive and well known far away. Thus both brothers had to be very careful to keep the sympathies of all the people. All Tongans certainly gained a lot from this monument to the unity – because we all know that even a bad peace is much better than a good war. McKern, W. C. Archaeology of Tonga. Bernice P. Bishop Museum, Bulletin 60. Honolulu, 1929. The Kingdom of Tonga consists of 176 islands, land area is 748 km². In spite of the small size the country has an amazing number of interesting landmarks. 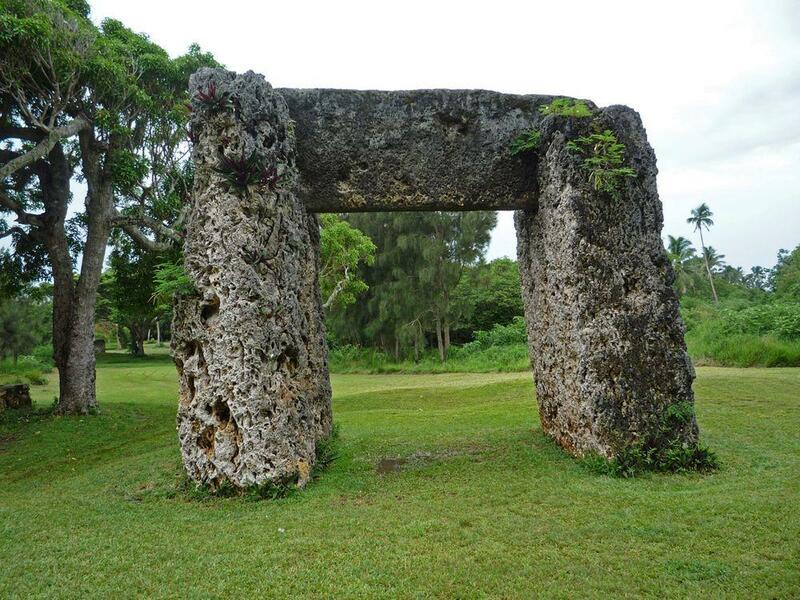 The highlights of Tonga are its archaeological heritage (including suprising megalithic monuments) and the beautiful scenery. The book is a comprehensive, up-to-date, authoritative and readable account of Tongan society from its origins 3000 years ago to the present. It discusses its archaeology, the development of traditional society, and the transition of that society to modernity. Social change, economic development and political change are dominant themes. Modern Tonga was molded by dramatic changes in the nineteenth century during which the population converted to Christianity, and a formal state was established under a written constitution. Tonga is less isolated, more prosperous and yet seemingly more troubled now than at any time in its history. In 1806 the English privateer Port au Prince anchored in the South Pacific kingdom of Tonga, seeking food and help. Instead, they were attacked by the Tongans. Half the crew was massacred and thrown to the sharks; the rest were enslaved. Fourteen-year-old William Mariner was adopted into the family of Finau ‘ulukalala, the powerful and charismatic king of the islands.